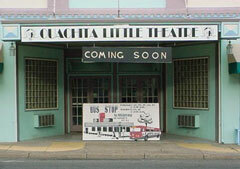 The building that now houses Ouachita Little Theatre was originally built as a movie house, The Lyric, in 1923. The Lyric had three other locations, the last of which burned in a fire, on January 27, 1922. The first Lyric opened in Mena on Monday, September 12, 1909. After the fire, the building OLT is in now opened Monday October first, 1923. It was owned and built by Mr. Price McCall, who also ran a laundry. Starting as a place to see silent movies, in 1930 it was equipped with sound and the 1929 hit movie, Say It With Songs with Al Jolson was the first “talkie” ever shown there. Locally-born radio and movies celebrities Lum and Abner appeared live on its stage 3 times for the opening of their first movie, Dreaming Out Loud, on Friday September 6, 1940. It continued as Mena’s movie theater with several owners, until 1982. It was during the time it was a movie theater that sometimes on Saturday nights, local performers would gather outside and around the corner from The Lyric and put on impromptu shows. While interesting, it was Roy Vail who introduced a similar modern Saturday Night at the Lyric (SNL). He wanted to see something at the theatre at least once a month and worked very hard to produce a fun variety show on the “dark” months. He got the idea for the name of the show from a summer replacement TV show called “Saturday Night at the Palace”. By changing the name to “Saturday Night at the Lyric” Roy stared an OLT tradition. OLT was founded in 1979 by Leda Benson, and until 1985 provided plays and other performances in the Mena Middle School Auditorium, just up the street from The Lyric. In 1985 we took possession of the Lyric building, and converted it to accommodate live performances. On November 13, 1993 a devastating tornado that wreaked havoc on downtown Mena swept the back third of the OLT away. The last OLT show before the tornado was Breaking Legs. 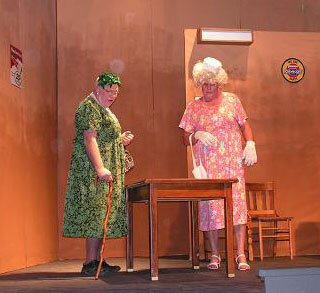 For two years thereafter OLT performed again at Mena Junior High auditorium. The first show after the tornado was Murder at the Vicarage by Agatha Christie. OLT finally resumed activities back at The Lyric building in 1995. 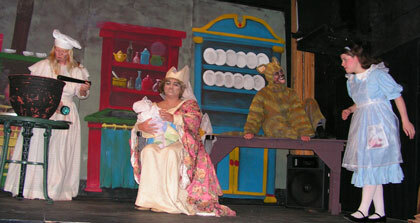 On March 14, 2009, the OLT won a statewide community theater competition sponsored by the American Association of Community Theaters (AACT), and was named the 2009-2010 Arkansas State Community Theater Champion! 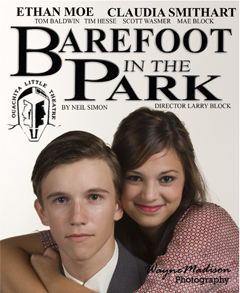 They took Best Costumes, Best Actress, Best Actor, Best Director, and Best Play Performance awards. Over the years, three to four plays were performed each year including Bus Stop, Barefoot in the Park, Oklahoma!, Cat on a Hot Tin Roof, Annie, Music Man, The Odd Couple, Steel Magnolias, Wizard of Oz, Fiddler on the Roof, The Mousetrap, The Importance of Being Earnest and Camelot. Click here for a list of past plays. In the Summer of 2010 a new activity for the OLT was developed, called OLT on the Road. It produces and performs plays for audiences, primarily in community theaters, in a hundred mile radius of the OLT’s home base. This division is managed by two OLT Board members, both award-winning directors, Tim Hesse and Larry Block. OLT on the Road plays are usually not the ones being performed at the OLT during its regular performance year, but are often previewed over one weekend at the OLT, before being taken on the road. 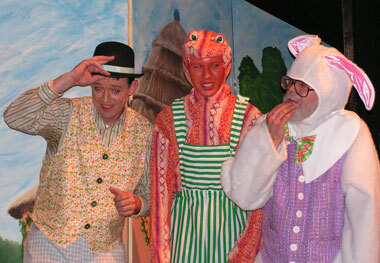 In February 2013, the OLT regained its American Association of Community Theaters Arkansas Community Theater Championship, for 2013-14, in competition at El Dorado, Arkansas, with The Madwoman of Chaillot, directed by Tim Hesse.